It turns out that when I get anxious, I make ice cream. Pints and quarts of fruity sherbet, chocolate-dipped salted caramel ice cream bars, Bronte pistachio gelato, and soft and chewy chocolate ice cream sandwiches. My freezer is so full of the stuff, I can barely close the door. When you find me in the bunker after the nuclear holocaust, I will be the one sitting in a puddle of sticky spoiling dairy cursing my impracticality. And this summer my impracticality led me to finally mastering Dan’s favorite frozen treat, the classic ice cream sandwich. 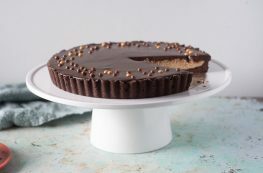 The way to replicate those soft and chewy chocolate cookies is to bake one big cakey cookie in thinnest of layers in a sheet pan. 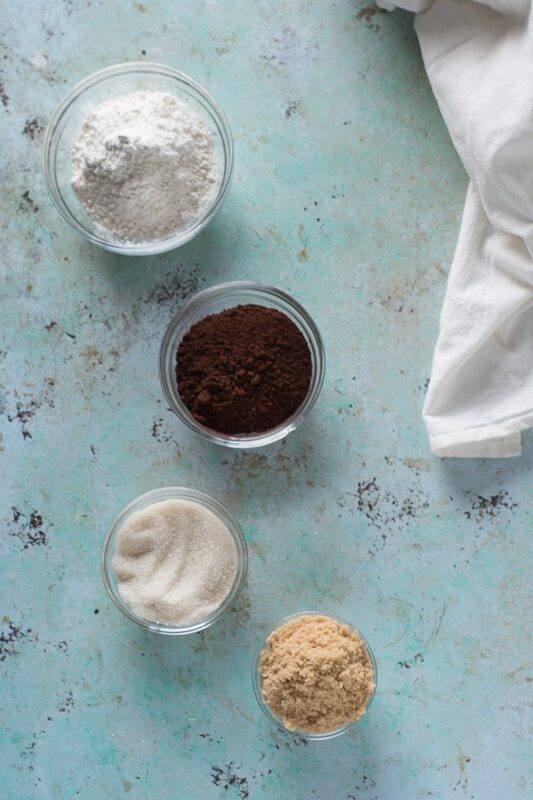 There’s a generous amount of cocoa powder and a mix of brown sugar and granulated sugar for the right amount of chew. You could fill this with any ice cream you like, but my favorite way to get that soft and airy ice cream texture that makes classic ice cream bars so satisfying is with a simple semifreddo. 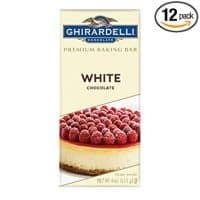 White chocolate gets melted into heavy cream (you could also substitute milk or dark chocolate, but white chocolate makes a neutral flavor base for vanilla or coffee) then chilled down in the refrigerator overnight and then whipped in a stand mixer, then sandwiched between layers of cookie and frozen until firm enough to slice. The edges get trimmed off, and the whole thing gets sliced into individual ice cream sandwiches. And really, they’re perfect. 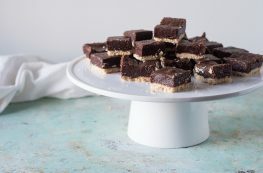 Texturally, they’re soft and chewy and just slightly sticky against your fingers like those ice cream sandwiches in every grocery store freezer but the flavor is deeper and more chocolatey and the ice cream can be any flavor you want. Eat them quickly, before they melt. 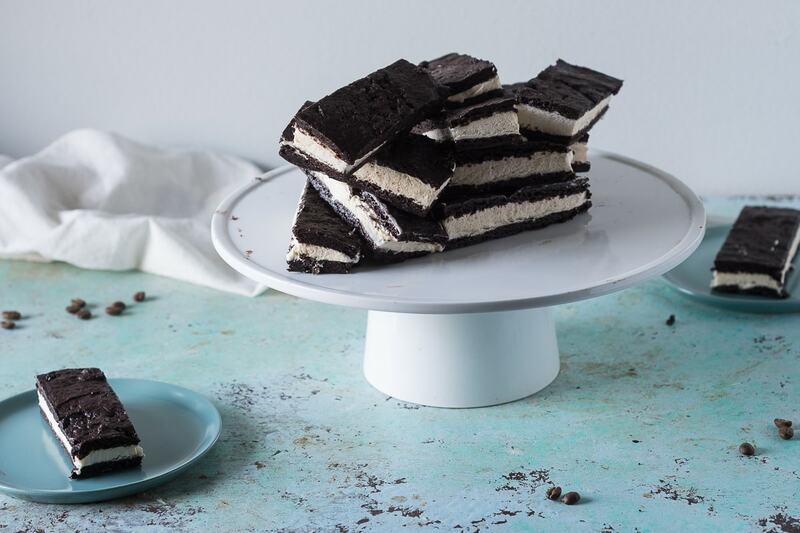 This recipe makes soft, chewy, and chocolatey ice cream sandwiches. The cookie is baked in one big sheet, almost like a very thin cake. It'll be better if you use a high quality cocoa powder (my favorite these days is Valrhona). 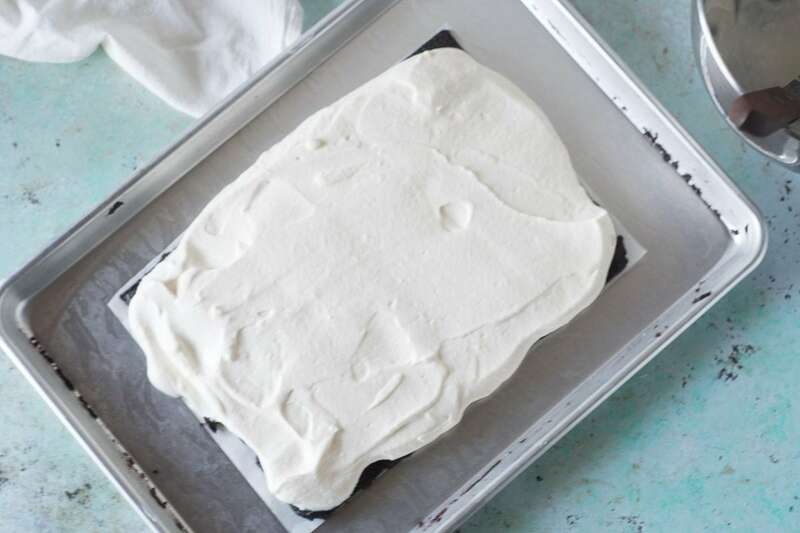 The batter is very stiff and a bit fiddly to spread, so it's important to anchor your parchment paper to the sheet pan with a bit of nonstick spray or butter so that it doesn't slide around. 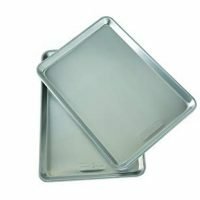 You can fill this with any commercial or homemade ice cream you like (you'll need a quart, and you'll want to let it soften to a spreadable consistency). The semifreddo recipe here is simple to make, doesn't require an ice cream maker, and makes a light and fluffy ice cream filling. You can infuse the cream ahead of time with coffee, a vanilla bean, or fresh mint, just before to strain before you combine it with the white chocolate. Pour the cream into a small heavy bottomed saucepan and bring just to a boil. Meanwhile, place the white chocolate in a medium heat proof bowl. 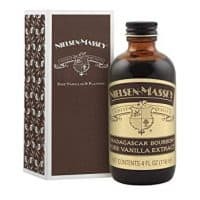 When the cream boils, remove the heat and pour over the chopped chocolate, and the vanilla and salt, and whisk until the chocolate is melted and the mixture is smooth. Transfer to an airtight container and refrigerate overnight. Add the flour, cocoa powder, baking powder, and salt to a medium bowl and whisk together. Add the butter, brown sugar and granulated sugar to a large bowl and mix until well combined. Add the eggs, one at a time, and mix until smooth. Add the vanilla extract and stir again. Add the flour mixture and stir until combined. The batter will be thick (like most cookie batter). 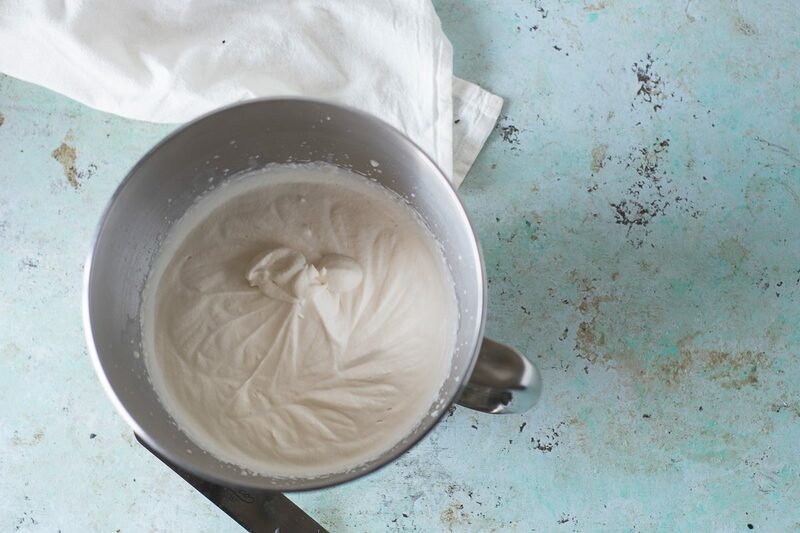 Transfer the batter to the prepared pan and smooth into an even layer, leaving a narrow border of parchment paper around the edges, with an offset spatula. (It will be kind of pain to spread, but don't worry, that's the hardest part of this recipe.) Bake until the cookie has set and looks dry on top, about 10-12 minutes. Let cool completely, then wrap in plastic wrap and freeze for at least an hour or overnight. 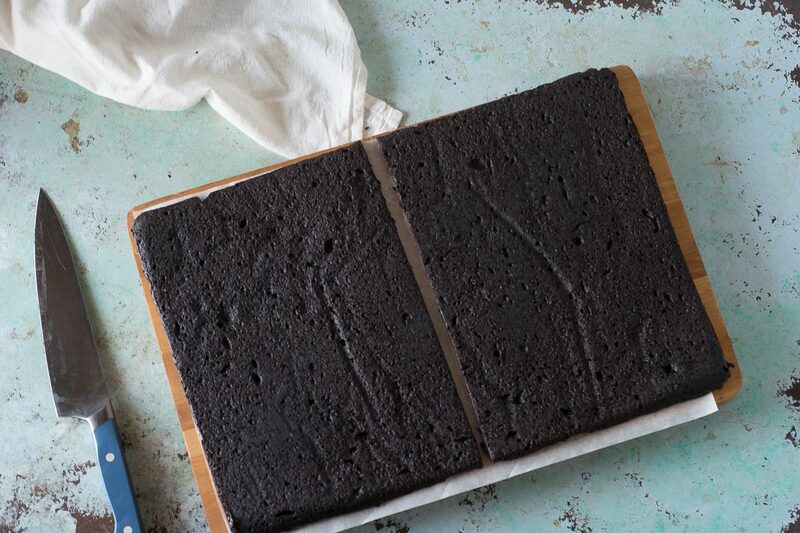 Invert the chilled cookie to a cutting board and peel off the parchment paper. Slice in half and transfer back to the sheet pan. Remove the whipped cream mixture from the refrigerator and whip with an electric mixer until it holds stiff peaks. Spread in an even layer over one of the cookie halves. (Or use softened ice cream.) Gently place the other cookie half on top and freeze until firm, at least 8 hours or overnight. Remove from the freezer, trim off the edges to even them out, then slice into 12 even rectangles. Serve immediately or wrap individually in plastic wrap (or slip into sandwich bags) and freeze for up 2 weeks. Oh yes date night dessert, Tuesday night, you name it – this is the most delicious of desserts! Pass that plate over here! How nice to find a recipe for the cookie part of ice cream sandwiches. These look perfect. These look delicious and I love that it’s all from scratch! Thanks, Jillian! Pretty much everything is from scratch around here! I have never tried making ice cream sandwiches myself so thanks for the inspiration! Ohh yeah. Major YUM alert! 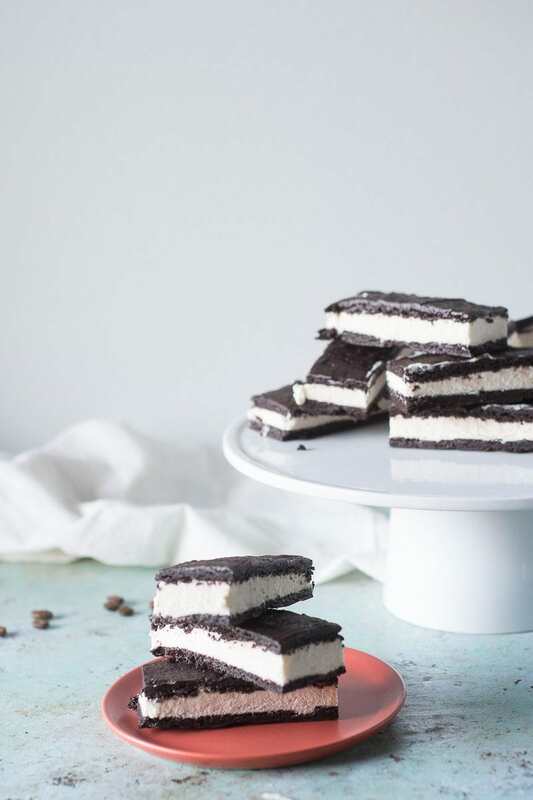 I never made ice cream sandwiches before, but these look so delicious that I’ll have to try. Thank you!